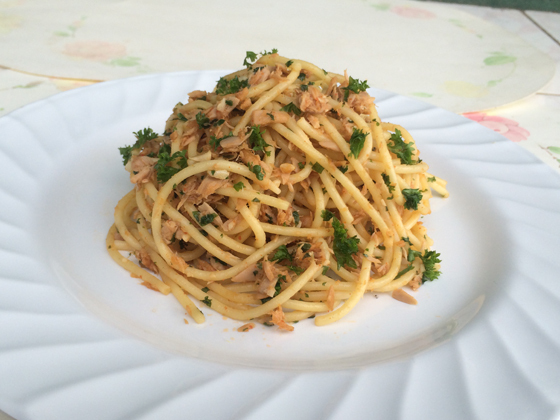 This Italian recipe was introduced to me by my sister Vasanthi who lived in Italy for 20 years. Thank you nangi for this wonderful recipe. This is so tasty, easy and can make in minutes with just four ingredients. I keep this recipe for my lazy days. Bring a large saucepan of lightly salted water to the boil. Add the spaghetti cook for 8-10 minutes, or until tender but still firm to the bite. 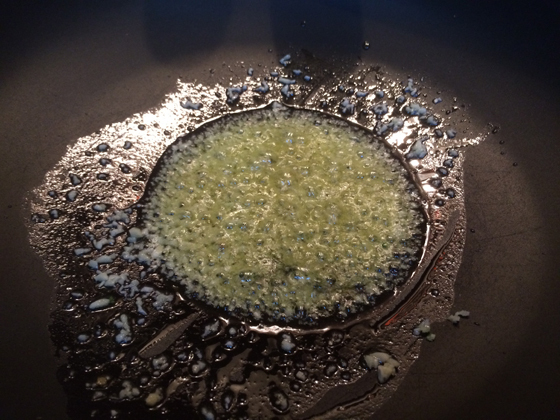 While spaghetti is boiling, heat oil in a pan and sauté garlic until golden brown, in low heat. 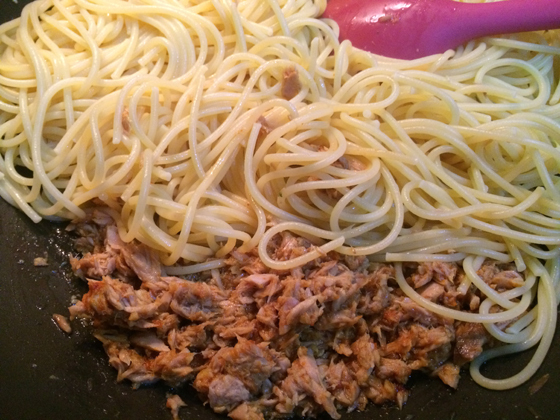 Add the tuna and break into small pieces. 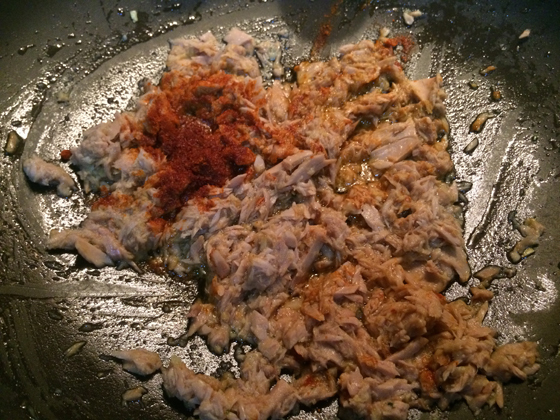 Then add the chili powder and mix well. Add boiled spaghetti and mix. At last add the minced parsley and serve hot. I am a mother of 3 toddlers. I have seen so many cooking videos and not seen anyone explaining and caring like you. You’re so sweet and cute. You cooking videos are good inspiration to all. God bless you. I am having a problem and need a help from you. Even though I watch so many cooking videos or I cook a food when I want to do it again the next day or next month, next time I can’t remember the recipes, ingredients and measurements. I have to look for the video or need to ask someone again or need to read it from a book. Because of most of the time I try to do something simple or I do not wanna cook. How can I come out of this? Pleas, could you help me? I am waiting to hear from you. Dear Ms anoma I tried try spaghetti, it came out very weLloyd. But why it become very dry. Even before it is like that so I use some, white sauce, or mayonnaise, is it necessary for this receipy as well.thank you.